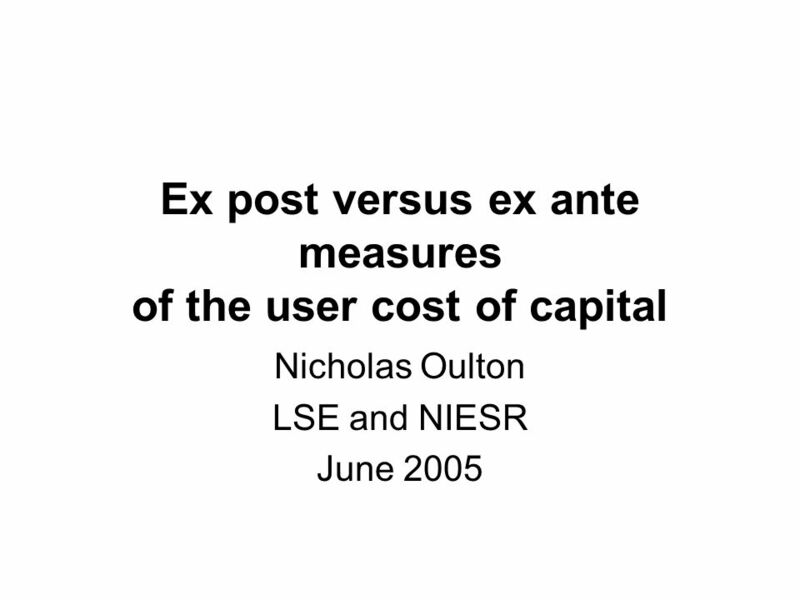 Ex post versus ex ante measures of the user cost of capital Nicholas Oulton LSE and NIESR June 2005. 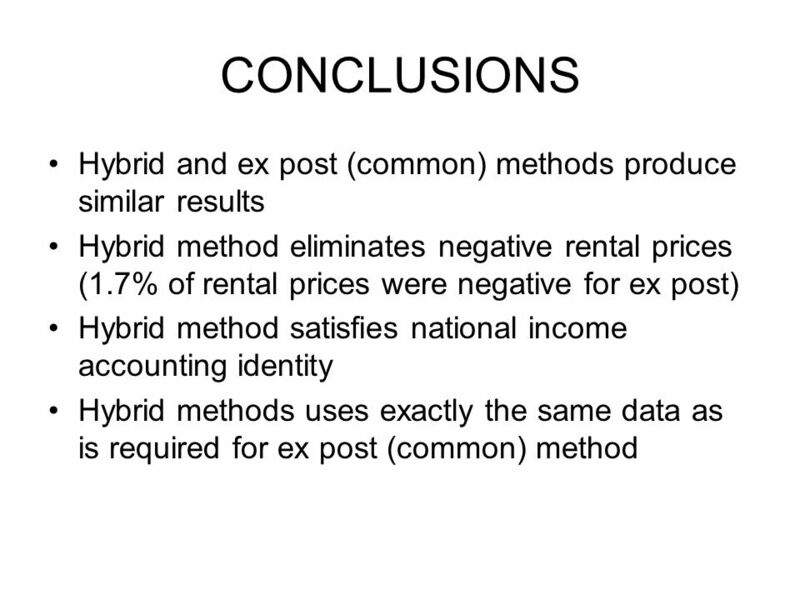 Download ppt "Ex post versus ex ante measures of the user cost of capital Nicholas Oulton LSE and NIESR June 2005." 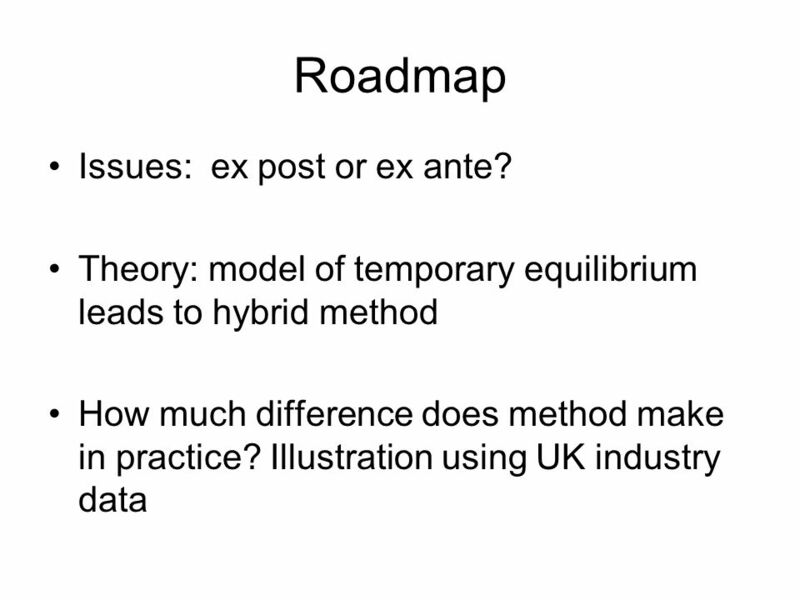 Stress-testing the capital input measures in the EUKLEMS database Nicholas OULTON LSE, UCL and NIESR and Ana RINCON-AZNAR NIESR March 2007 Paper to be. 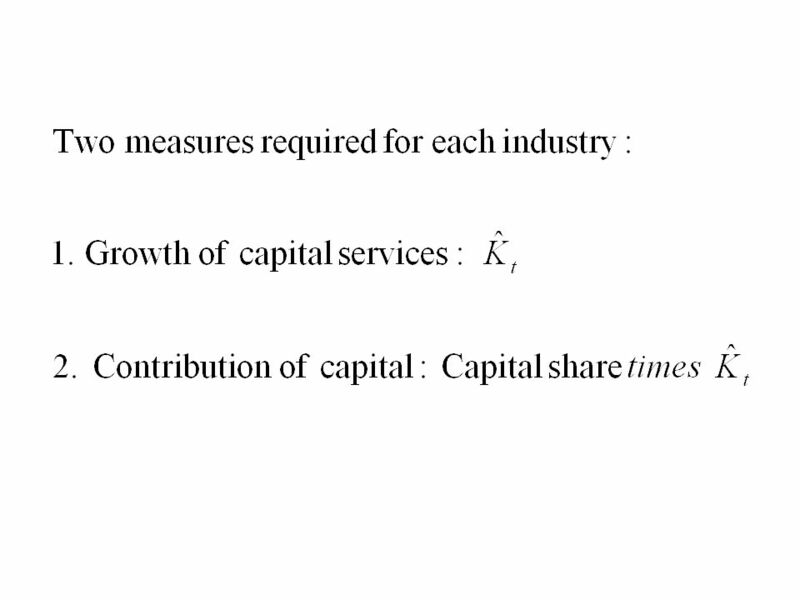 Estimates of Capital Input Index by Industries of China, Sun Linlin, Beihang University Ren Ruoen Beihang University. 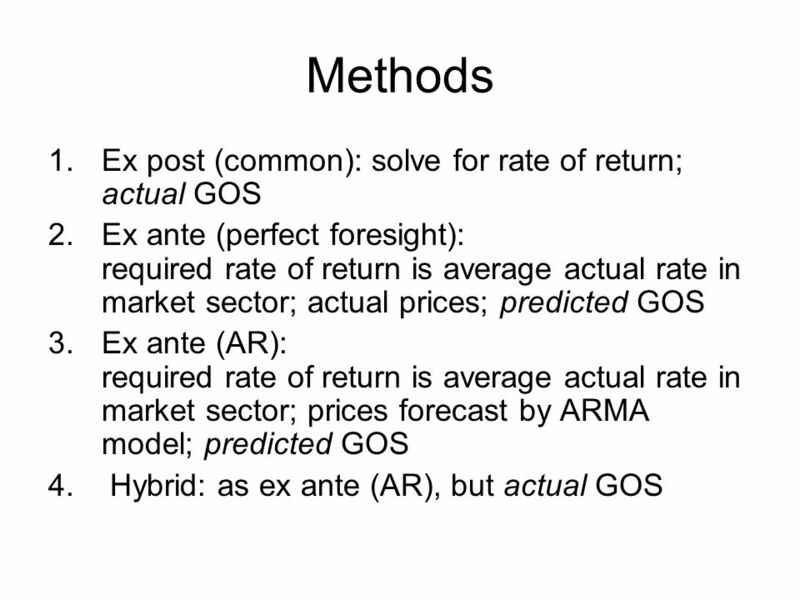 Rates of return and alternative measures of capital input Nicholas OULTON London School of Economics and Ana RINCON-AZNAR National Institute of Economic. 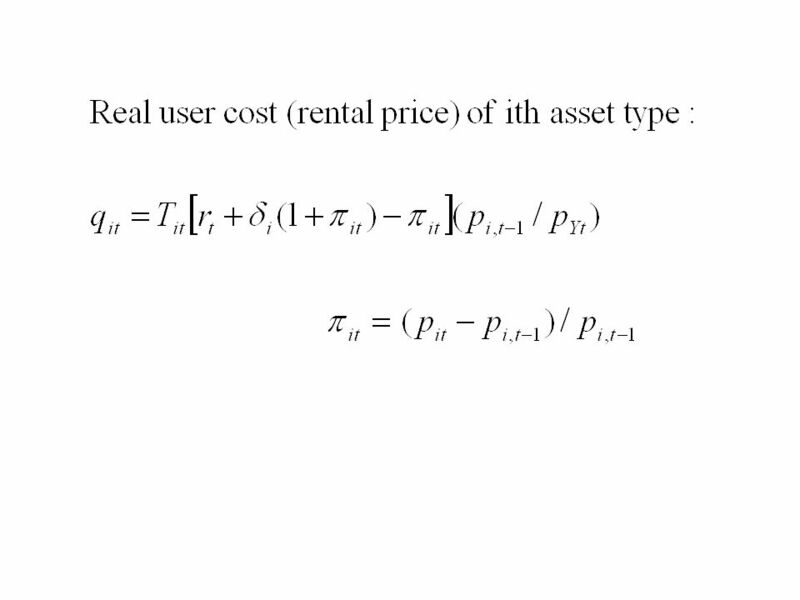 The Closed Economy How the real interest rate keeps the goods market in equilibrium Y = C + I(r) + G.
How the real exchange rate keeps the goods market in equilibrium. 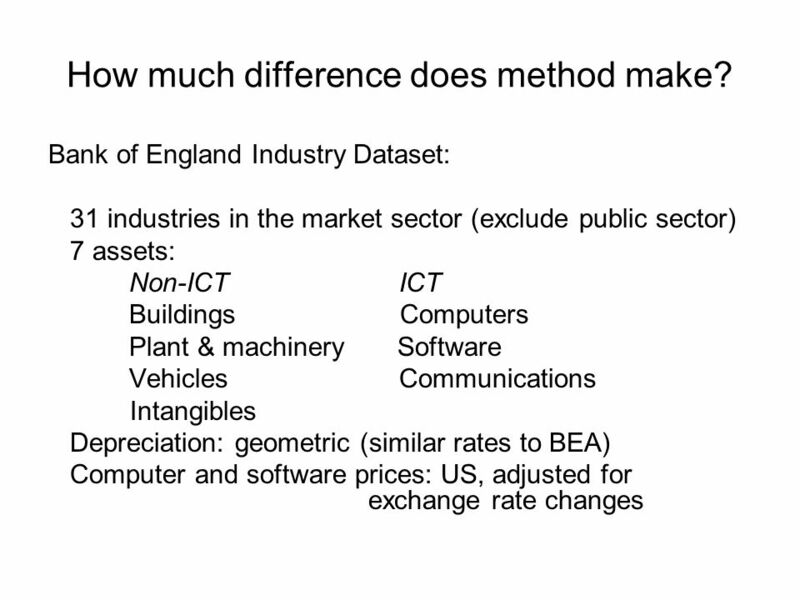 Use of National Statistics Data in the Manufacturing Technologies Association Presentation for the International Business Statistics Users Group Geoff. 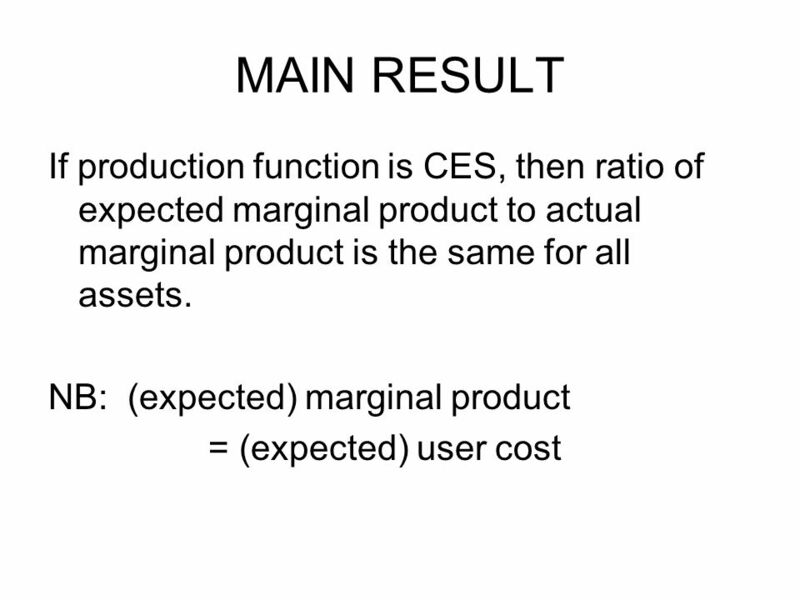 Test Your Knowledge GDP Click on the letter choices to test your understanding ABC. 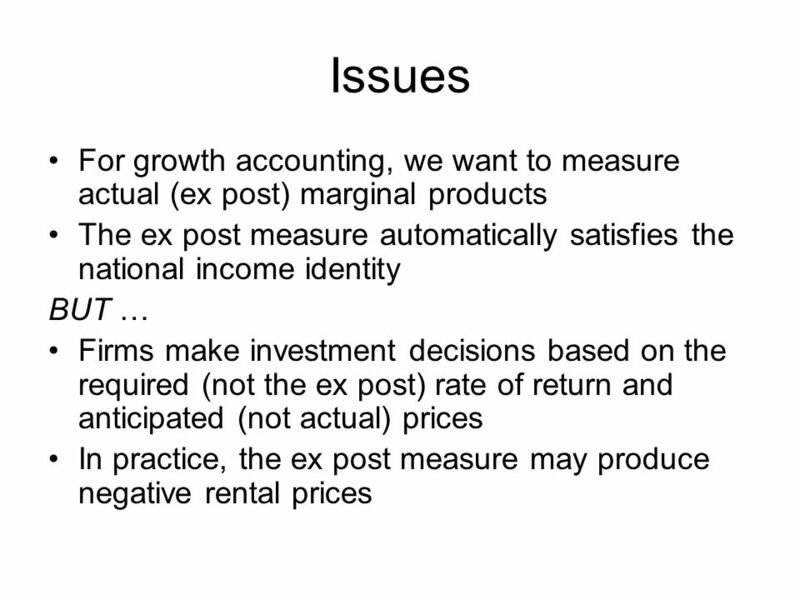 Chapter 17: Investment. 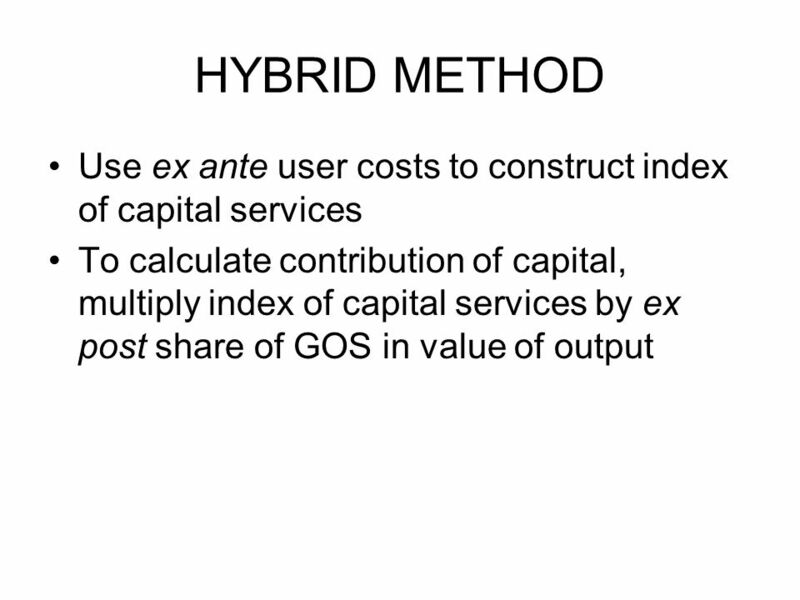 Types of Capital Business fixed investment: equipment and structures businesses use to produce Residential investment: new housing. 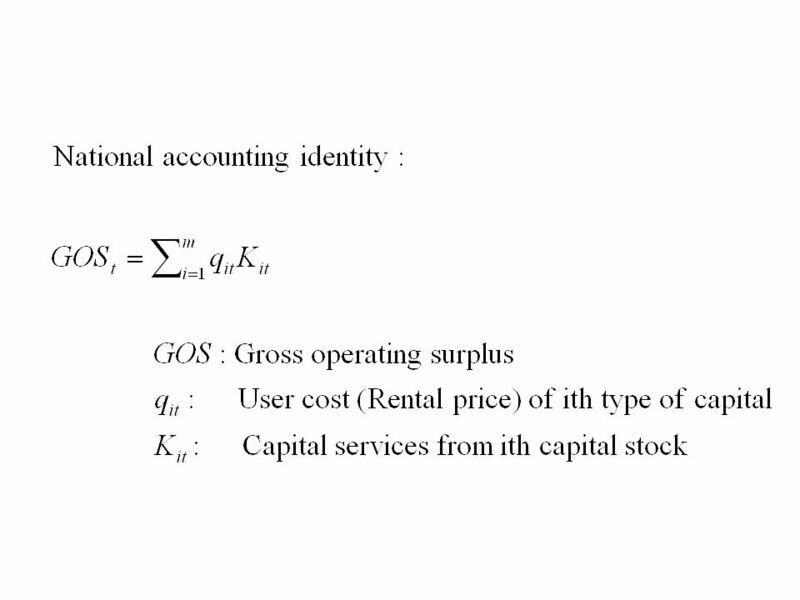 Business Cycle Theory Changes in Business Activity ©2012, TESCCC Economics, Unit: 06 Lesson: 01. 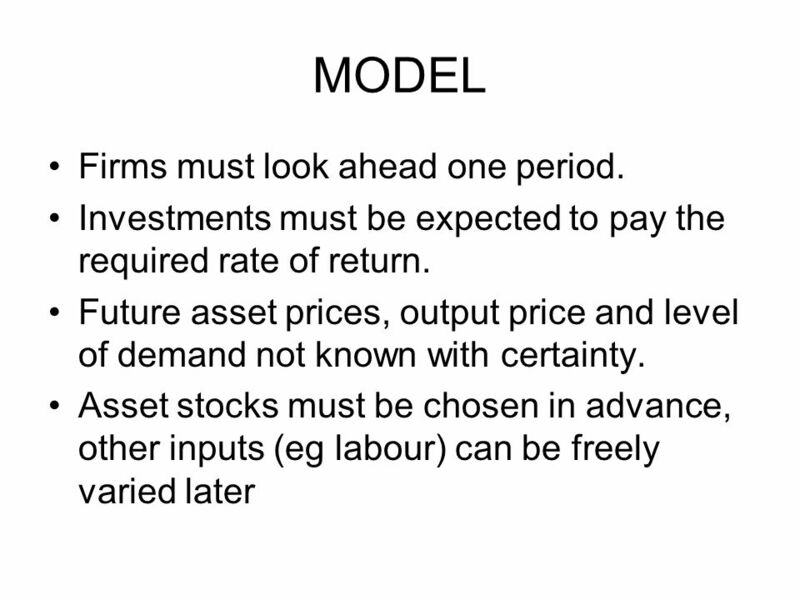 Chapter 9 Capital Market Theory. 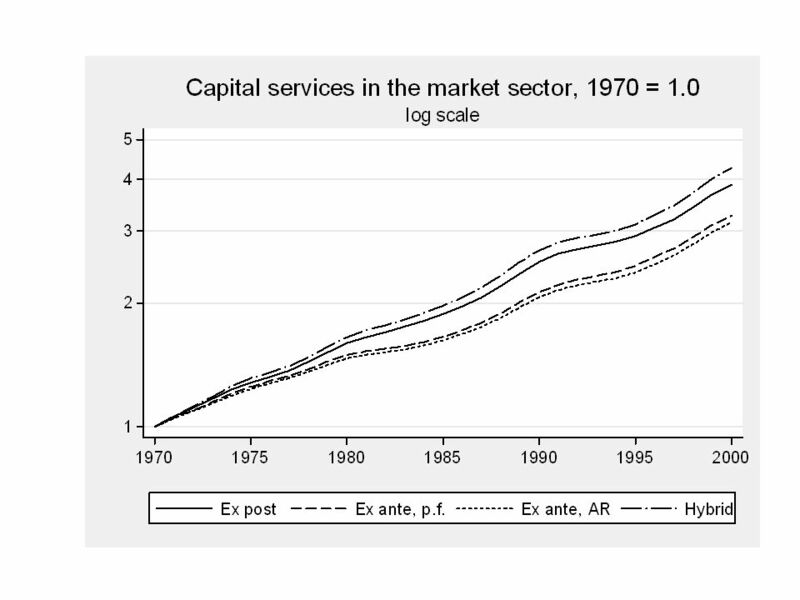 Capital Markets Savings, Investment, and Interest Rates. 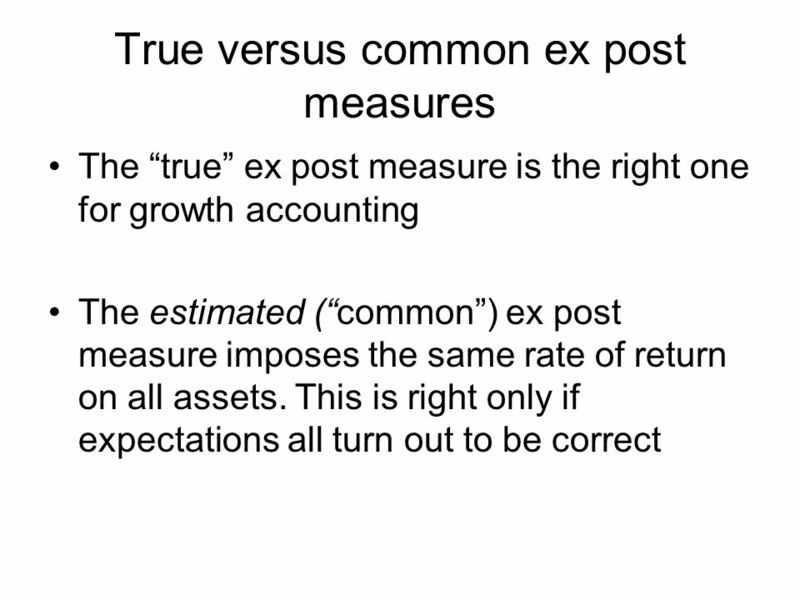 C H A P T E R 28: The Stock Market and the Economy © 2004 Prentice Hall Business PublishingPrinciples of Economics, 7/eKarl Case, Ray Fair 1 of 41 The.